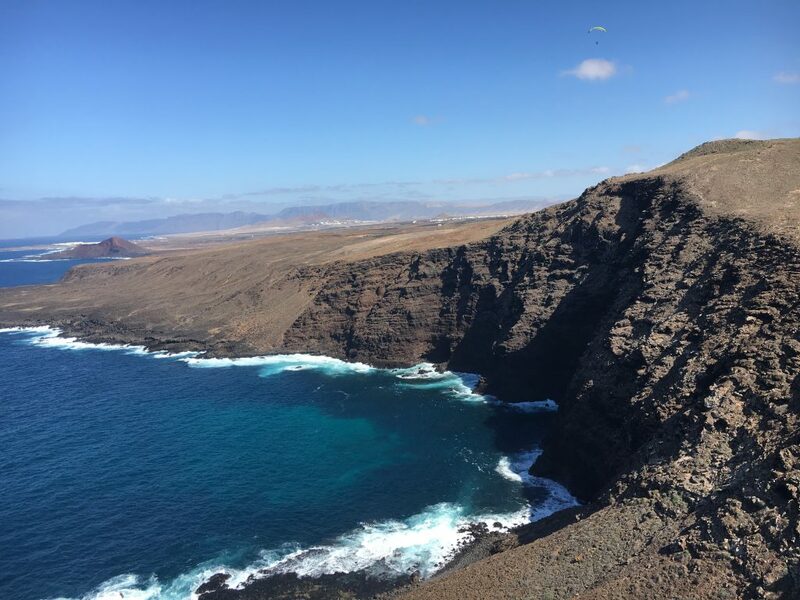 Since almost eight years, I always spend one or two weeks on the beautiful isle of Lanzarote (Canary Islands) between December and February. 2018 we had a particularly good week! This year our week fitted perfectly between bad and very bad weather at home in Hamburg. On Lanazarote, the weather was simly stunning: The sun was shining, >20ºC, and the wind was fine. So we went flying every single day. 7 days – 9 spots and more than 15 hours of airtime is a perfect result for one week. 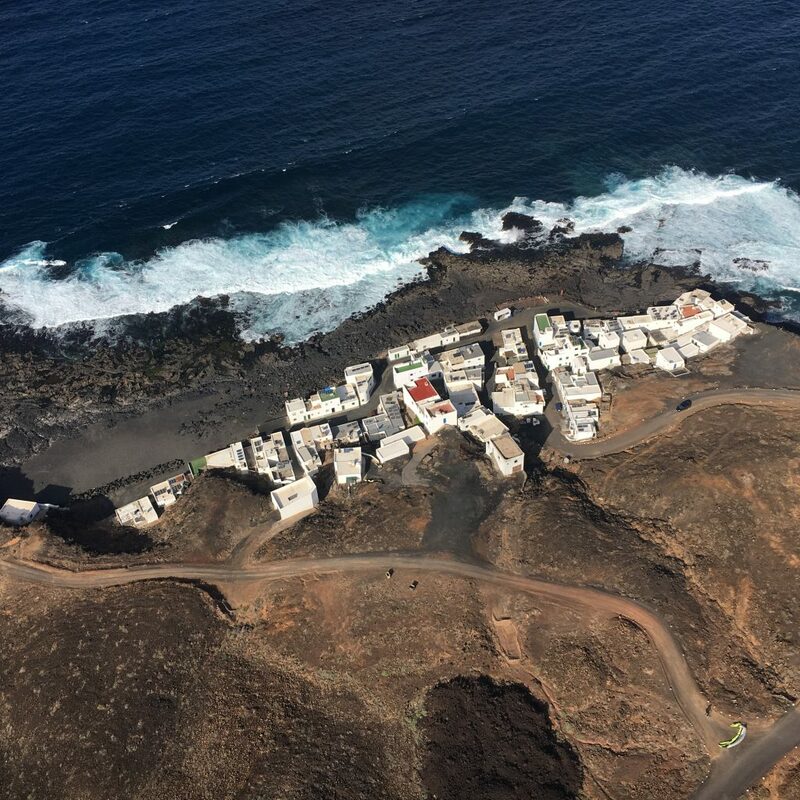 Other than on Tenerife or La Palma, where the flying tales place on the leesikde of the large mountains, Lanzarote is a windy island where you fly in the laminar wind and, depending of the spot, with thermal support. A good glider control is essential for safe flying. Some take-offs are not that easy, some are, but all of them require a certain respect. Once in the air, it is simply beautiful. 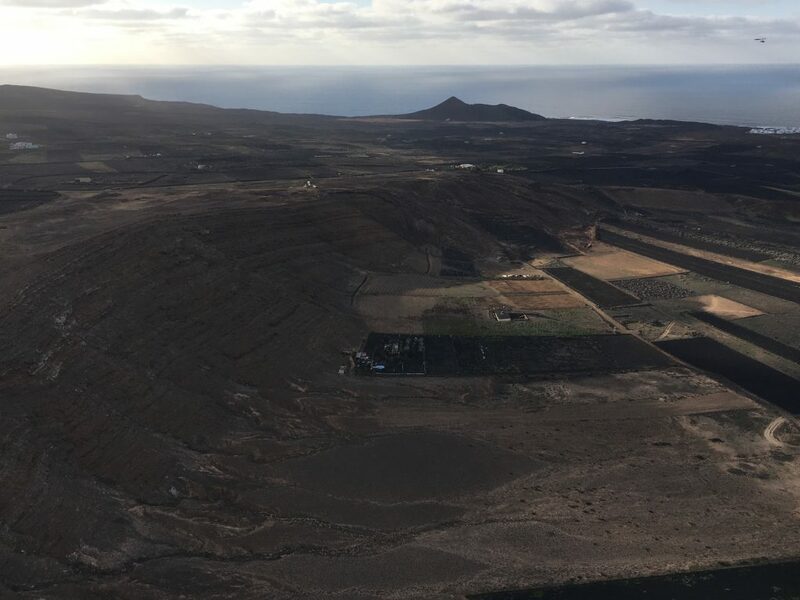 In the evening, we finished our first day with a beautiful flight in “El Cuchillo”, the remains of an old vulcano, which lies in a 2 km circle around agriculture fields. The area is covered with tiny black lava stones that collect humidity during the night. At daytime, they heat up, so in the evening you´ll find a combination of laminar wind together with soft thermals for easy and stressless flying. On good days, you can reacht altitudes of up to >700m. Great Fun! 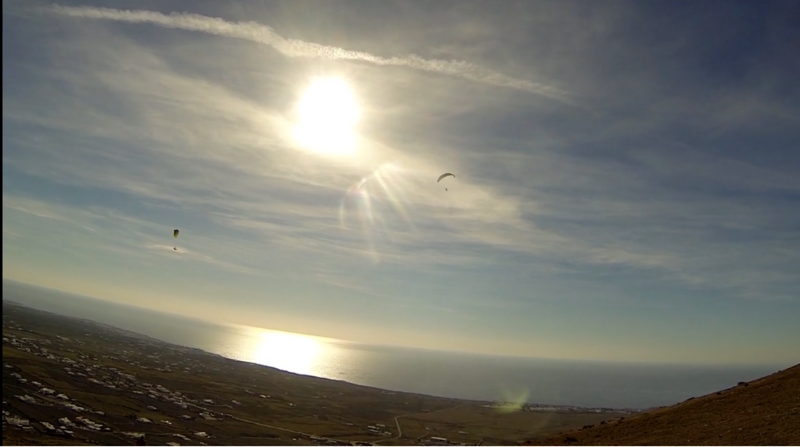 During the daytime El Cuchillo is Hangeliders “Home” and not flyable for paragliders. The next day we started over in Orzola. 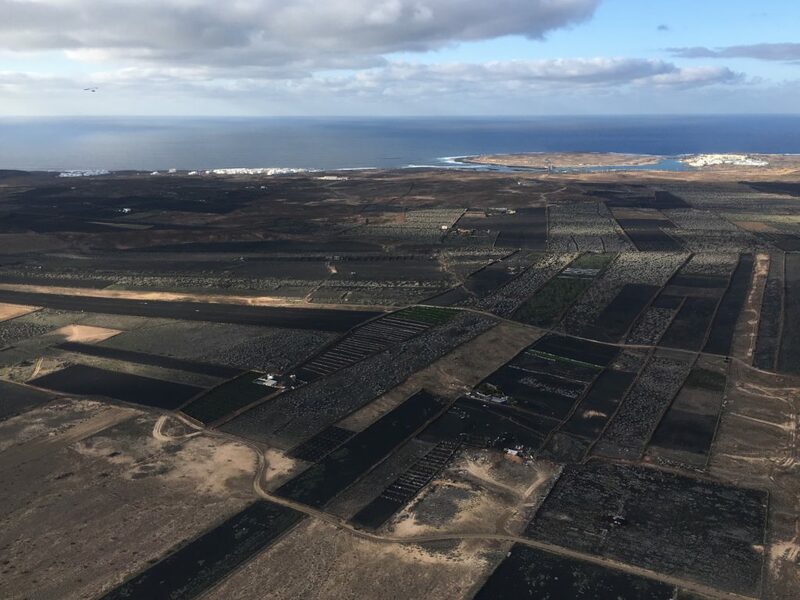 This site is located in the very north of Lanzarote and perfect for NE wind. There are at least three options to take off. 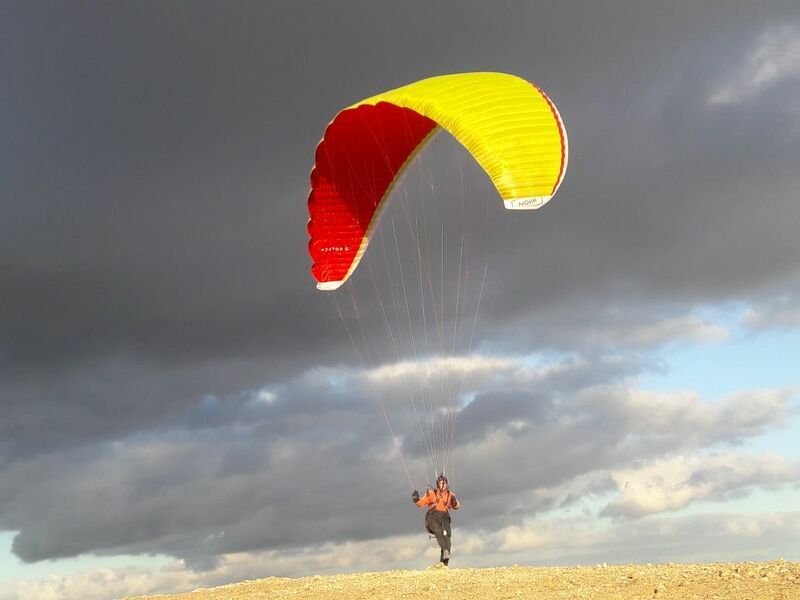 Inflate your glider behind your car and kite up the slope until you have enough lift to fly. Launch at the lower or upper small take-off (5 or 15 min walk). In weak conditions, drive up to Mirador and start at 400m. 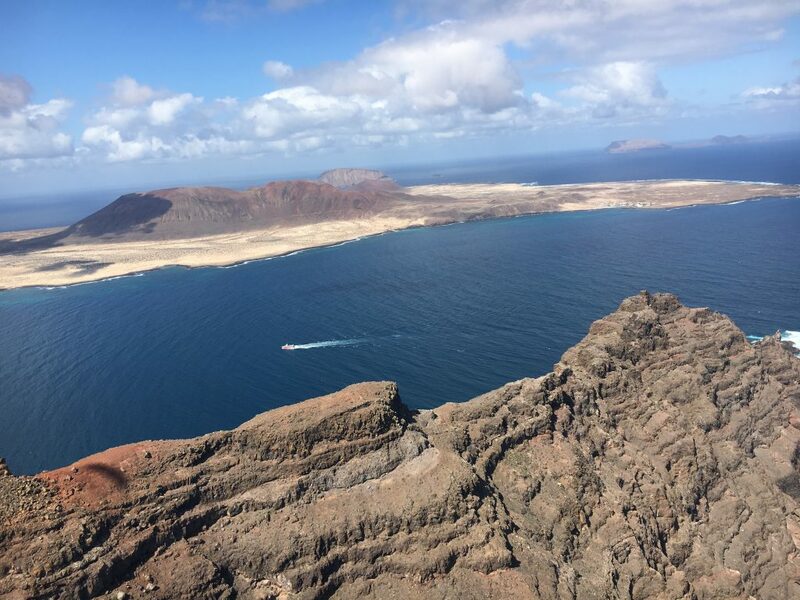 The result is the same – an amazing flight along the rocks, over the bay of Orzola with a stunning view to the west side of the Famara Ridge and the Isle of “La Graciosa” In good conditions you may reach an altitude of 1.200m! 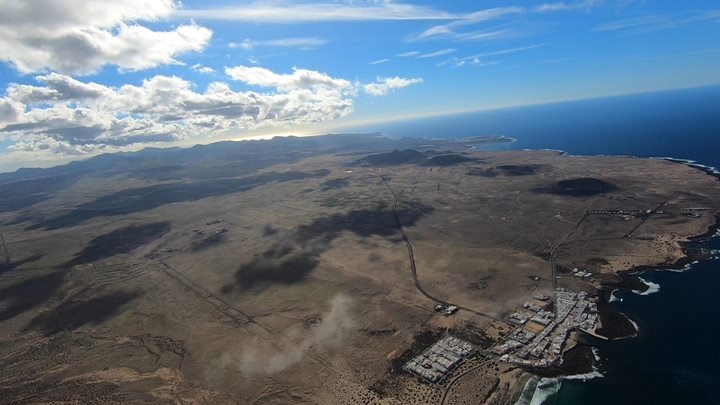 In the SE of Lanzarote you´ll find “Playa Quemada“. It’s located directly on the sea and provides perfect laminar soaring conditions. PQ not only has bizarre rocks, but also nice restaurants for fish and seafood. Beside the rocks PQ provides you with . 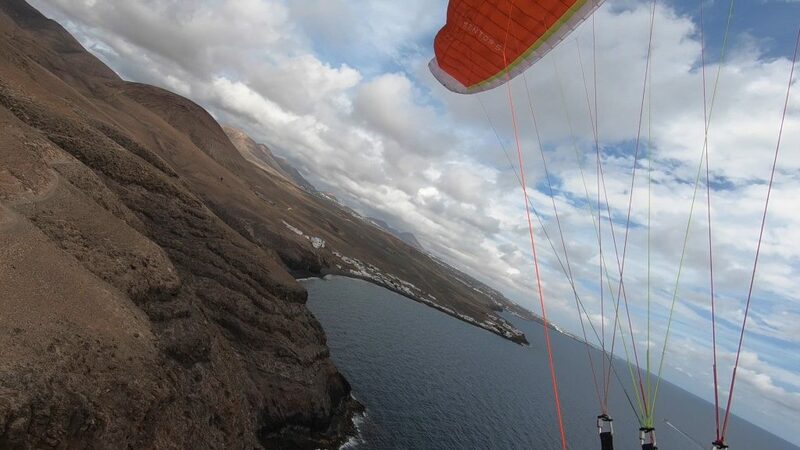 Launching there is very easy, The take-off is quite large and free of big lava stones. In good conditions you can fly for hours! Top landing also is quite easy and if the wind disappears there are enough places to land on the shore. 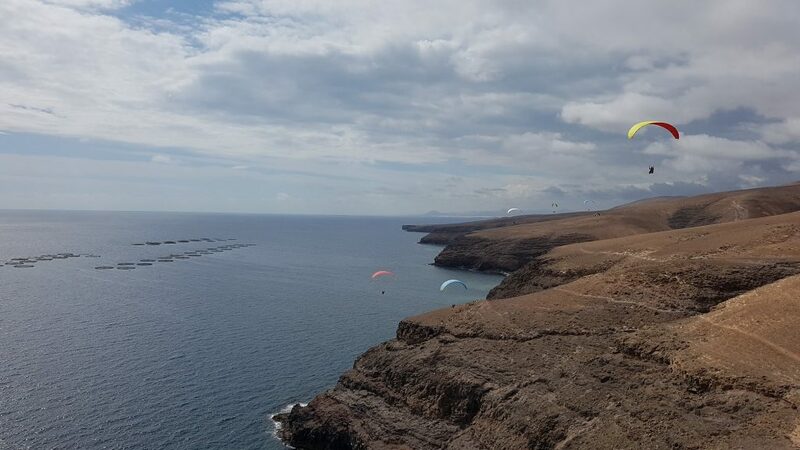 If the wind is fine, some people fly over the “barrancos” to the next ridge, trying to get as close to Playa Blanca (10 km) as possible and hopefully back. Barrancos are small valleys, cutting through the cliff line and they are the only place to land, if you leave PQ to the south. Second option is to gain some altitude and fly inland, “jumping” from hill to hill. To me, Risco de Famara is the absolute highlight of any trip to Lanzarote. But it`s a pitty, that Famara mostly behaves little like a diva. The Famara Ridge is about 23 km long in total and up to 600m hight. To fly it, you need the right wind strength and direction. 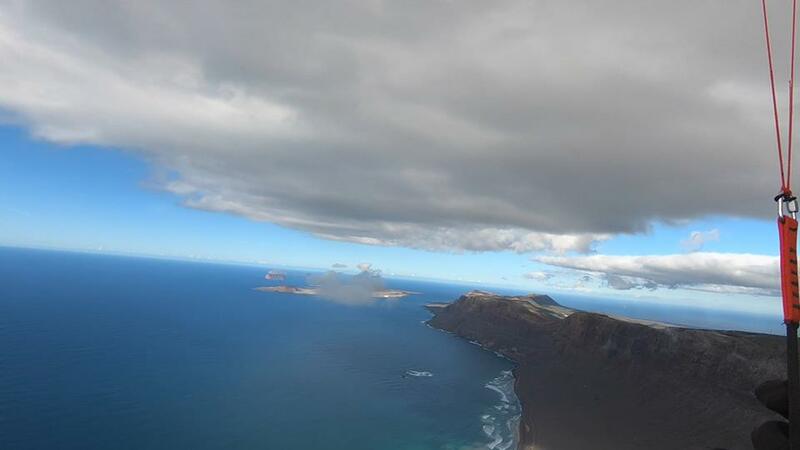 NNW to NW is the best, because then you can fly the whole ridge from take-off “Lower Famara” to the north end of Lanzaraote. But this doesn’t happen too often. My last “fully” is now three years ago. Mostly you can fly parts of it, either start directly at the foot of the Famara Ridge and fly the first part, sometimes the whole ridge, or you lanuch a little more inland at “Lower Famara”. This year we had both variations! Short trip inland from Famara and the land side trip, but not the whole Ridge. Whatever variation – it is absolute stunning. My Glider was the NOVA MENTOR 5 (L). After flying the MENTOR 2 & 4, the M5 for me ist the best MENTOR ever. With all-up weight of about 127 kg it is really fast, has a good climb rate (also in weak conditions) and I felt absolutely safe flying. Also when flying full speed and at a climb rate of 4 m/s through the rough conditions at my last Famara flight. Very well done NOVA. If you are interested you will find my “Lanzarote Trilogy” and some flights through Famara in my VIMEO collection. If you want to go there and need a guide, just get in touch with me. Many thanks for your detailed report. It makes me wanna go there. I like to read it. Last Januari we were in Tenerifa Adeje. Really nice vid, thanks! We´ve been there also in February, but conditions have been worse for flying. cannot expect part 2.